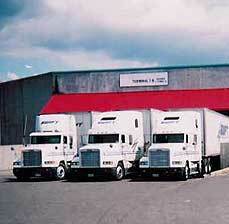 For 20 years we have provided warehousing, distribution and crating related services to our customers worldwide. Our modern facilities are capable of handling all your company's import and export needs. Centrally located, Puget Sound Packaging facilities are housed within one mile of all major Port of Seattle Shipping Terminals making us an efficient and practical choice. We have a dedicated staff of professionals who will work hard and with the utmost care to see your cargo on its way in the most cost effective way possible. Please call us today for rate quotes or feel free to email us for more information.